For successful summer holidays in the mountains, book your accommodation to Morzine in Northern Alps massive, Haute Savoie. This mountain resort will offer you exceptionnal areas and surprising landscapes. Your summer accommodation to Morzine will be for you a moment of wellness in the heart of a beautiful nature and you will spend holidays in wide open spaces. Our moutain offers will make you live warm emotions with all your family. We propose you quality holidays accommodation in all French massives, in the heart of mountains. We have many residences to rent for your summer to Morzine. Let yourself be carried by a feeling of happiness, enjoy the summer holidays in the mountains full of sun and discoveries ! This tourist residence with elevator practically "touches" the gondola of Avoriaz and contains 52 south and west facing apartments with balcony. 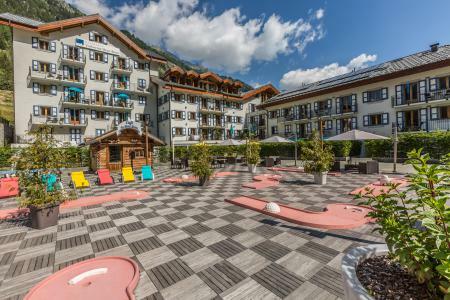 Residence equipment : bar,sauna, jacuzzi, bakery service, laundry service, luggage room, ski lockers, electronic games, billard, table tennis, petanque. 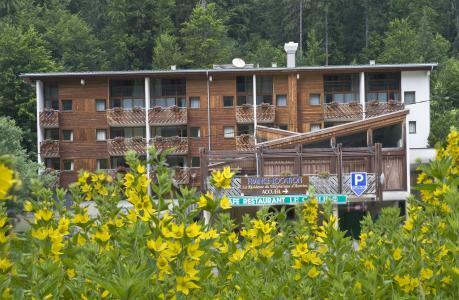 The Residence Vallorcine Mont Blanc***** offers 50 self-catering apartments with mountain views in the Chamonix Valley. Perfectly located in the village centre, at 20 minutes by car from Chamonix, the Residence is an ideal family home for a peaceful pedestrian trail close to the Mont-Blanc. Relax in the heated pool, or relieve from stress at the beautiful Spa. The residence Trolles is a recent residence in a quiet district of Les Contamines. It is situated 600 m from the village center where you will found all the shops, restaurants and activities of the resort. The residence is composed of 2 buildings of 2 floors. Residence Le Catalpa, no lift, is located in Le Grand Bornand Village, in Nant Robert area. You'll find a leisure park 1200 away. The residence Les Chalets, without lift, is located in Villavit district, in Grand Bornand Village resort. It is situated 1000 m from the village center and shops. A bus stop is 100 m from the residence. You'll appreciate the quiet area and the view over the mountains. The residence Maeva l'Aiguille is located in the heart of a natural site. It is situated in a pedestrian area of a the district of Chamonix Sud, where you there are all the shops and services. Vous retrouverez le téléphérique de l'Aiguille du Midi et le centre de Chamonix à 100 m.
The residence Quartier Chamonix Sud, with lifts, is located in the Chamonix Sud district in the resort of Chamonix-Mont Blanc, at 350m from the centre of the village. Apartments ar well decorated and well equipped. First shops are at 50m from the residence. Situated in Bechigne district, the residence Le Bouquetin-Les Jonquilles is composed of 3 floors, with lift. 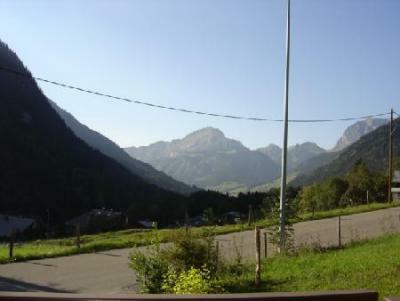 It is located 1000 m away from the village center of Châtel, entertainments and shops.